Daniel’s research program explores the complexity of socio-ecological systems though ecosystem service assessment (particularly cultural services) and the study of science-policy discourse with a goal of improving environmental policy in the face of rapidly intensifying challenges and ecological change. His research utilizes diverse methodologies derived from the social sciences, including interviews, surveys, focus group discussions (conducted in an Immersive Visualization Theater) and historical analysis to define how values, culture, socio-demographics and history affect human perceptions of their environment. His current research venues are the Arava Valley and Northern Negev Long-Term Socio-Ecological Research Platforms and the Carmel Forest in Northern Israel. 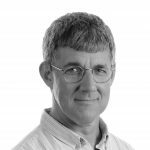 Daniel is also co-editor and contributor to “Between Ruin and Restoration: An Environmental History of Israel” (University of Pittsburgh Press) and lead co-author of the conceptual framework chapter of the Israel National Ecosystem Assessment. Since 2019 he serves as an academic representative for a green campus at the Technion. Urban sprawl change assessments; Policies and environmental implications; Social and political drivers of land use/cover change; Population-environment interactions; Ecosystem service assessment. Reception hours: Thursday 15:00-16:30, By appointment.